Hello Friends in this post i will so you how to change your blogger favicon,Blogger is a best platform it,s allow to make your own blog free it's always supplies every blog with the standard orange "B" blogger favicon logo(Icon). but some bloggers do not like this blogger logo.So here is the step by step tutorial to how to change your Blogger favicon logo(icon), follow below steps. Step:-4.Browse Your icon in your PC and Click on Save Button.That's it..!! 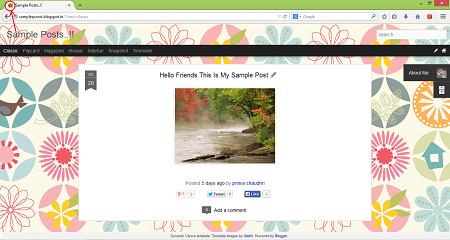 Step:-5.Once your template is saved view your blog and make sure to refresh the page and delete your cookies. If u have not any icon or logo go to Favicon Generator And make your own Favicon free..! !